Low-carb diets have been popular for many decades. They used to be highly controversial, but have now been gaining mainstream acceptance. Low-carb diets tend to cause more weight loss than low-fat diets, at least in the short-term (1). They also improve numerous health markers, such as blood triglycerides, HDL cholesterol, blood sugar and blood pressure (2, 3, 4, 5, 6). However, not all low-carb “diets” are the same. There are many different types. Here are 8 popular ways to do a low-carb diet. The typical low-carb diet does not have a fixed definition. It is simply referred to as a low-carb, low-carbohydrate or carb-restricted diet. This diet tends to be lower in carbs, and higher in protein, than a typical “Western” diet. This type of diet is usually based on meats, fish, eggs, nuts, seeds, vegetables, fruits and healthy fats. It minimizes the intake of high-carb foods like grains, potatoes, sugary drinks and high-sugar junk foods. 100–150 grams: Weight maintenance or frequent high-intensity exercise. There’s room for plenty of fruit and even some starchy foods like potatoes. 50–100 grams: Slow and steady weight loss or weight maintenance. There’s room for plenty of vegetables and fruit. Under 50 grams:Fast weight loss. Eat plenty of vegetables, but limit fruit intake to low-GI berries. For a detailed guide to a typical low-carb diet, read this. Bottom Line: The typical low-carb diet is much lower in carbs and higher in protein than a regular diet. The recommended carb intake depends on individual goals and preferences. The ketogenic diet is a very low-carb, high-fat diet. It is often referred to as keto. The goal of a ketogenic diet is to keep carbs so low that the body goes into a metabolic state called ketosis. When carb intake is very low, insulin levels go way down and the body releases large amounts of fatty acids from its body fat stores. A lot of these fatty acids are transferred to the liver, which can turn them into ketone bodies. Ketone bodies, or ketones, are water-soluble molecules that can cross the blood-brain barrier and supply energy for the brain. Instead of running on carbs, the brain starts running largely on ketones. The little glucose still required by the brain can be produced by the body via a process called gluconeogenesis. Some versions of a ketogenic diet even restrict protein intake, because too much protein may reduce the amount of ketones produced in some people. A ketogenic diet was traditionally used to treat drug-resistant epilepsy in children. It may also have benefits for other neurological disorders, and metabolic problems like type 2 diabetes (7, 8, 9, 10). It has also become popular for fat loss, even among some bodybuilders. It is a very effective diet to lose fat, and tends to cause a major reduction in appetite (11, 12). A ketogenic diet involves high-protein, high-fat foods. Carbs are generally limited to less than 50 grams per day, and sometimes to less than 20–30 grams. A conventional ketogenic diet is referred to as a “standard” ketogenic diet (SKD). Targeted Ketogenic Diet (TKD): Add small amounts of carbs around workouts. Cyclical Ketogenic Diet (CKD): Eat a ketogenic diet on most days of the week, but switch to a high-carb diet for 1–2 days each week. 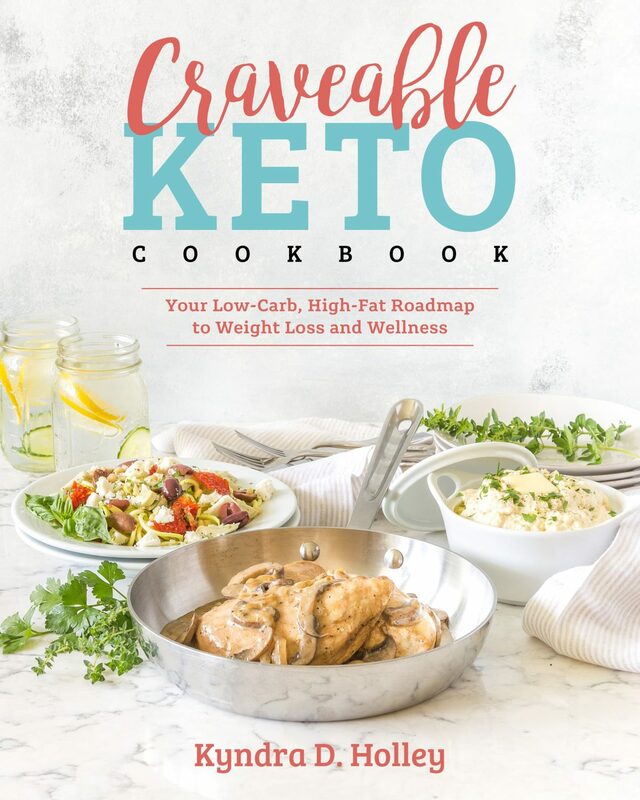 Here are two incredibly detailed guides about ketogenic diets, one from a fat loss and general health perspective and the other from a muscle gain and performance perspective. Bottom Line: A ketogenic diet, or keto, involves reducing carbs sufficiently to induce a metabolic state called ketosis. It is a very powerful diet to lose fat, and has powerful benefits for several diseases. This is a fairly standard very low-carb diet, except an even greater emphasis is put on eating whole, unprocessed foods. The LCHF diet has become very popular in Sweden, as well as other Nordic countries. It focuses mostly on meats, fish and shellfish, eggs, healthy fats, vegetables, dairy products, nuts and berries. The recommended carb intake on this diet can range from under 20 grams per day, to under 100 grams per day. Here is an incredibly detailed guide to the LCHF diet. Bottom Line: The LCHF (low-carb, high-fat) diet is popular in Sweden. It is a very low-carb diet that focuses mostly on whole, unprocessed foods. This diet involves eating foods that were likely available in the paleolithic era, before the agricultural and industrial revolutions. According to paleo proponents, humans evolved eating such foods, and returning to the diet of our paleolithic ancestors should improve health. There are several small studies showing that a paleo diet can cause weight loss, reduce blood sugars and improve risk factors for heart disease (13, 14, 15). A paleo diet is not low-carb by definition, but in practice it tends to be fairly low in carbs. It involves eating meats, fish, seafoods, eggs, vegetables, fruits, tubers, nuts and seeds. A strict paleo diet eliminates processed foods, added sugar, grains, legumes and dairy products. There are several other popular versions of the paleo diet, such as the primal blueprint and the perfect health diet. All of them tend to be much lower in carbs than a typical Western diet. Bottom Line: The paleo diet involves eating unprocessed foods that were likely available to our paleolithic ancestors. It is not low-carb by definition, but in practice it tends to be low in carbs. The Atkins diet is the best known low-carb diet plan. This diet involves reducing all high-carb foods, while eating as much protein and fat as desired. Phase 1 — Induction: Eat under 20 grams of carbs per day for 2 weeks. Phase 2 — Balancing: Slowly add more nuts, low-carb vegetables and fruits to your diet. Phase 3 — Fine-tuning: When you get close to your goal weight, add more carbs until weight loss becomes slower. Phase 4 — Maintenance: Eat as many healthy carbs as your body tolerates without gaining back the weight you lost. The Atkins diet was originally demonized, but modern science has now shown that it is both safe and effective. This diet is still popular today. Bottom Line: The Atkins diet has been popular for over 4 decades. It is a 4-phase low-carb diet plan that allows eating protein and fat until fullness. A diet termed Eco-Atkins is basically a vegan version of the Atkins diet. It includes plant foods and ingredients that are high in protein and/or fat, such as gluten, soy, nuts and plant oils. It tends to contain about 25% of calories from carbs, 30% from protein and 45% of calories from fat. This is a bit higher in carbs than a typical Atkins diet, but still much lower than a typical vegan diet. One 6-month study showed that an Eco-Atkins diet caused more weight loss and greater improvement in heart disease risk factors than a high-carb lacto-ovo-vegetarian diet (16). Bottom Line: The Eco-Atkins diet is a vegan version of the Atkins diet. It is higher in carbs than a typical Atkins diet, but still very low in carbs compared to most vegetarian and vegan diets. Some people prefer to eliminate all carbs from their diet. This is called a zero-carb diet, and usually includes only foods from the animal kingdom. People who follow a zero-carb diet eat meat, fish, eggs and animal fats like butter and lard. Some of them also add salt and spices. There are no recent studies that show a zero-carb diet to be safe. Only one case study exists, from 1930, where two men ate nothing but meat and organs for a year but remained in excellent health (17). A zero-carb diet is lacking in some important nutrients, such as vitamin C and fiber. However, it seems to work for some people. Bottom Line: Some people follow a zero-carb diet, which excludes all plant foods. No quality studies have been done on this diet. The Mediterranean diet is very popular, especially among health professionals. It involves selecting foods that were (supposedly) consumed in the Mediterranean countries earlier in the 20th century. Studies have shown that this diet can help prevent heart disease, breast cancer and type 2 diabetes (18, 19, 20). A low-carb Mediterranean diet is basically like a Mediterranean diet, except that it limits higher-carb foods like whole grains. It is similar to a regular low-carb diet, except that it emphasizes more fatty fish instead of red meat, and more extra virgin olive oil instead of fats like butter. A low-carb Mediterranean diet may be better for heart disease prevention than other low-carb diets, although this needs to be confirmed in studies. Bottom Line: A low-carb Mediterranean diet is similar to a regular low-carb diet. However, it contains more fish and extra virgin olive oil. Which Low-Carb Diet Plan is Best? If you’re going to do a low-carb diet, pick a plan that suits your lifestyle, food preferences and personal health goals. What works for one person may not work for the next, and the best diet for YOU is the one you can stick to. 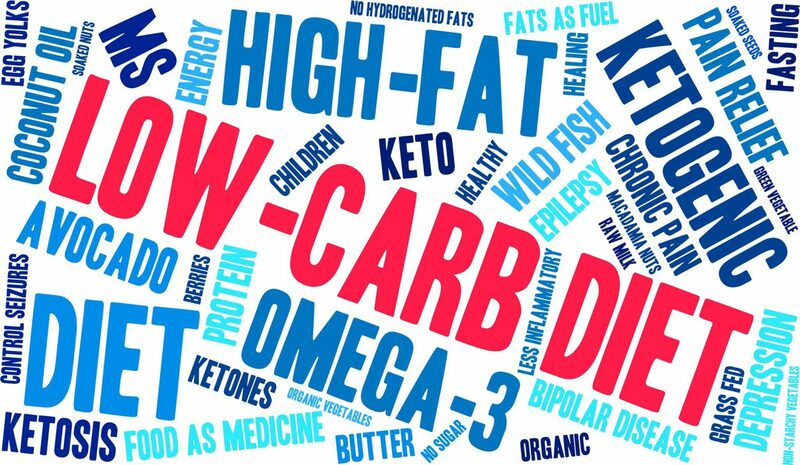 Great summary of all the low carb food plans!! Thank you!